This social rehabilitation center for children is located about 130 km from Kiev in the village of Burty, about a 10-minute drive from the town of Kagarlyk. The center’s name is “Sonechko”. This name is used as an affectionate appeal to a dear, beloved person and means “Sunny Angel” or “Sweetheart”. The center is located in the building of a former orphanage. 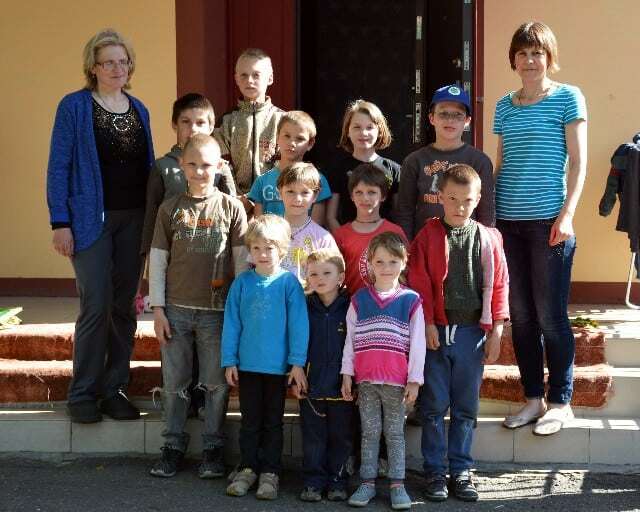 The director of the center, Natalia Rybnyk, has been the director of this orphanage in the past. Several years ago many orphanages in Ukraine were closed and children were sent either home to their own families or to foster families. But the problem has not been solved: many children appeared on the street again because their own parents have been the same (drinking, drugs) and not all foster families were able to take good care of children. Thus “Sonechko” appeared in the form of rehabilitation center as a combination of orphanage and foster family. There are eleven children in the center, two nurses, and the director. All the children have health problems and need special care. Some children go to local school, some attend kindergarten. The story of every child from the center is a sad story–sad because they were abused in their own families and because their parents have serious problems with drugs or alcohol. Sponsorship of this center would be a blessing for every child. They will come to our Mercy Projects camps, they will know about the Lord and they will, with help, become full members of the society.